polish insomniac: Beauty Spotlight: What's on Zuzu's Dressing Table! Beauty Spotlight: What's on Zuzu's Dressing Table! It's Zuzu's turn for the "What's in my ..." series, but she had such a hard time deciding what to highlight, she just decided to show the whole thing. 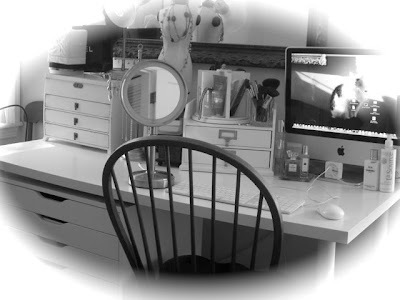 Check out Everyday Beauty and see what's on--and in--Zuzu's dressing table.